Having cannabis valued at £5 in his possession cost a Portadown man a £120 fine last Friday at Craigavon Magistrates Court. 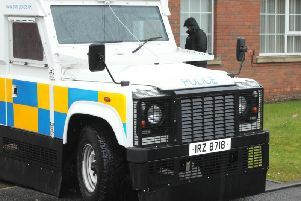 Samuel Herron (27), Westland Road, Portadown, admitted unlawful possession of cannabis on February 18 this year. The court heard that at 7pm police stopped a car on the Mahon Road, Portadown, and they found a small quantity of cannabis resin valued at £5. Herron admitted it belonged to him. He had nothing previous of a drugs nature. His solicitor said the drug was for the defendant’s own personal use.